"The road to greatness can take you to the edge." 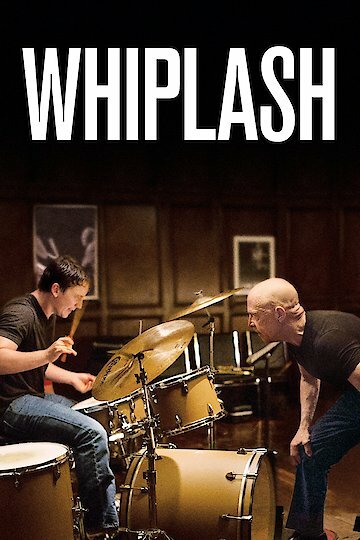 Whiplash is a drama film that was released in 2014. The film involves a young man who is accepted into one of the most prestigious conservatories in the world as a drummer. The school is fantastically competitive as the students compete for the very small number of jobs that there are for classically trained drummers. However, the student is helped along thanks to the support of one of his teachers. The teacher will not let the student quit and encourages him to continue his love of classical music as he finds himself tempted to turn towards modern music. Eventually, the student is able to succeed in his school. Whiplash was written and directed by Damien Chazelle. The student is played by Miles Teller, and the teacher is played by J.K. Simmons. The movie Whiplash was first released in the Philippines but has gone onto worldwide release. The film features a large number of musical performances. Whiplash is currently available to watch free on Crackle and stream, download, buy on demand at Amazon, Vudu, Google Play, iTunes, YouTube VOD online. The actor was uncooperative with police in California.